Why Choose 5 Day Kitchens? 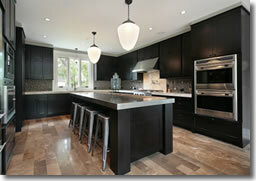 5 Day Kitchens is the true innovator in the kitchen remodeling industry. Created to complement our successful residential bathroom remodeling franchise, the response to 5 Day Kitchens has been overwhelming. Developed and proven in the market since 2008, our exclusive system was successful before franchises were made available. Consequently, owning a 5 Day Kitchens Franchise will provide you with an array of innovative and attractive products, unique business systems/strategies and the support necessary to meet your goals. This recession resistant business aligns with both seasoned professionals and people wanting to build their own fiscal security. Over 84 million homes in the United States are more than 15 years of age. In In these economic times, the consumer is finding remodeling a viable option to the cost and stress related to the purchase of a new home. This equates to a large number of remodeling opportunities that affords the home owner personalization of their kitchen, fast remodel time, and the security of little or no contractors to deal with. To meet a nationwide demand for 5 Day Kitchens systems, 5 Day Kitchens, LLC is founded on a comprehensive business approach, innovative products and leading-edge installation technology. Combined with over 30 years of experience, systematized business practices and the excellent reputation brought by our partner brand, Re-Bath®, 5 Day Kitchens creates a unique opportunity in the remodeling industry. 5 Day Kitchens is currently awarding franchise opportunities to exceptional people that will be instrumental in adding value to our entire organization. "The highest honor any franchise company can earn is the enthusiastic support of their own franchise community. 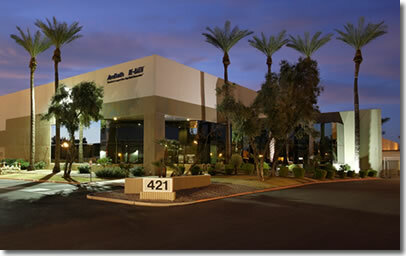 Re-Bath® has earned that distinction." 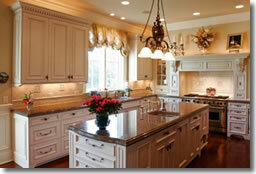 Click on Request Information for FREE info on how to open a 5 Day Kitchens franchise today! Please Note: This 5 Day Kitchens franchise opportunity and other franchise business opportunities, businesses and franchises for sale on this web site are not to be considered as an "offering", "franchise offering", suggestion or recommendation by Franchise Leader™. This advertisement depends entirely on the truthfulness of the information provided by our advertisers which includes, but is not limited to, franchisers, franchise brokers, franchise consultants and business brokers. Franchise Leader™ recommends that you consult a lawyer, financial consultant, accountant or professional advisor before buying a franchise or business opportunity or any type of business. By using this form or any part of our website, you have agreed to all terms and conditions of Franchise Leader™. Please review our Terms & Conditions for more information.